Description: The Mediterranean style is becoming increasingly popular – the style is more rustic, relaxed and informal. This style of interior works particularly well when the conservatory is attached to a Mediterranean-inspired kitchen. Subtle colour washes of paint work well on walls, and rustic-style furniture is ideal – mix weathered wooden furniture and wrought iron pieces for an eclectic look. 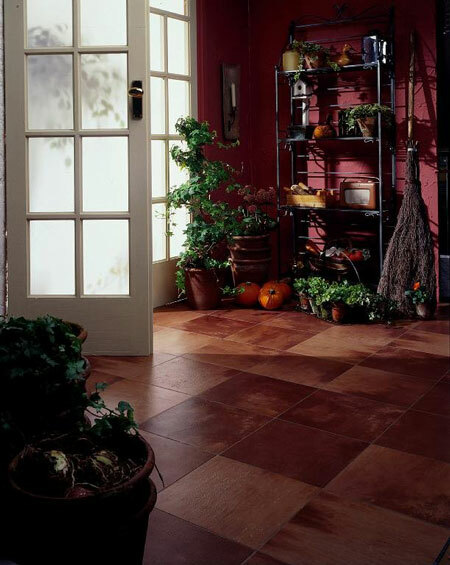 On the floor, quarry tiles add a warm depth of colour. Natural quarry tiles can be cold to walk on, so take a look at Amtico’s alternatives – there are three different colour ranges to choose from. Either lay them simply with a strip or add contrasting keys or maybe a border for a more ‘individual’ touch.